Ana Mardoll's Ramblings: Author Interview: Jacob Gowans on "Psion Beta"
Ana: Jacob, an excerpt from your novel “Psion Beta ” was submitted in the ABNA 2010 contest. I remember being really struck by the premise of the novel - you introduced us to a group of fugitive children who were living a life on the lam inside a dilapidated city. The boys broke into grocery stores and “foraged” for food, but they also took time to play war games for fun and survival training - you really maintained this incredible balance between the “adult” drive for survival and the “child”-like need to find pleasure even in difficult situations. 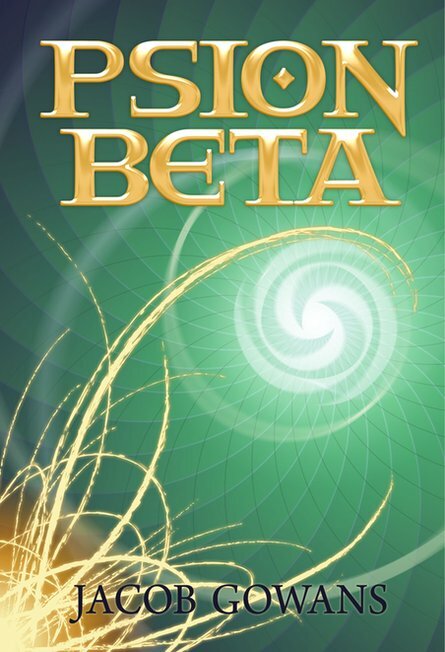 Jacob: "Psion Beta explores lots of themes, and I think this novel sets the stage for the questions to get a lot tougher down the road (i.e., other novels). And I don't want to give away what some of those "tough" questions are just yet, so let me just mention a few things. I've read lots of books where a kid has suffered terrible losses in life, but many of them never seem to delve deeply into how it really affects the child. In Psion Beta I really tried to make Sammy into a "damaged" character. I hope readers get a sense of that. In that regard, it looks at what happens when you take someone like that and introduce them to a completely different environment. How does that person make friends? How does he learn to trust? I hope the readers enjoy following Sammy's experience as he transitions from total anarchy to a rigid, disciplined life. Jacob: This novel was definitely inspired by a body of works. On my website, I make a list of these, but foremost among them is "Ender's Game". I love "Ender's Game", but what I always struggled with was how the ending and the sequels diverted from what I loved the most about it: the environment. I wanted to capture something akin to Ender's environment with my own twists, my own personalities, and make it less about super-genius children trying kill each other and more about kids who are a lot more like junior high and high schoolers trying to cope with having this astounding pressure placed on them and still be normal. If someone were to tell me: "This reminds me of Ender's Game, but definitely stands on it's own," I would be very okay with that. Another book I would claim as inspiration is Animorphs. I grew up with that series, and still consider it to be a definitive source on how to write about kids dealing with trying to be normal and be soldiers. That series was simply fantastic. Ana: I adore "Ender's Game", but I understand what you mean; the ending never sat perfectly with me either. When I first read the excerpt for “Psion Beta”, I was reminded strongly of works like “Lockdown ” and “The Maze Runner ” - I think because of the underlying theme of young boys forced into a “survival mode” by a brutal and authoritarian society. If you could compare your novel to any other existing work, which one would it be and why? Jacob: "Hunger Games " in no way inspired "Psion Beta". I read it long after I'd written the novel. However, people who enjoyed the honest brutality of "Hunger Games" will love "Psion Beta". It's not violent for violence's sake, but it doesn't dodge the necessities of what must be done in war. It's not squeamishly graphic, but it's frank. I also think girls will find a certain vein of romance to enjoy, although it's a subplot, not the driving point of the novel. And no one's skin sparkles. Ana: Jacob, now you have the RiffTones song "Sparkly Vampires" stuck in my head; I hope you're happy. *grins* I want to ask: Is this your first or only finished work, or have you written other novels? If you have written other novels, how do they compare to this one? Do you have any more novels planned, either as a follow-up to this one, or as a completely different novel or genre? Jacob: As I hinted at earlier, other books do follow "Psion Beta". I have sequels both written or planned, but the publication of those are all dependent on the success of Beta. I anticipate 5 books in the Psion series. I also have other projects in the works. I have written a novel called "A Tale of Love and Adventure Volume 1: The Flight from Blithmore". It's an epic adventure novel that I'm very fond of. I plan to complete one more draft and then send it out to agents this summer. It's nothing like "Psion Beta", but I think it will have wide appeal for both male and female audiences. I'm anxious to get it out there. I've also got an idea I've begun developing about clones. I can't say much more about it now, but it should be fun. Ana: Now you've peaked my interest - I love a good clone story. I like that you have range as a writer; there's so many good genres out there to contribute to. I was first introduced to your novel through the Amazon Breakthrough Award contest of 2010. What prompted you to enter the contest, and what were your overall feelings towards the contest in general? Jacob: A friend of mine told me about it. Interestingly enough, my brother, also a writer, knew of the contest, but didn't tell me because he didn't want the competition. I enjoyed the contest but I would recommend that people put zero stock in their success from it. As far as the contest goes overall, I can't think of a better way to do it than how they've done it for so many entrants. Ana: Are you currently published or self-published? Where can readers obtain a copy of your novel for them to enjoy? Jacob: "Psion Beta" is self-published, and I make no apologies for it. The choice to do so was my own, and I'm glad I did it. The book is available on amazon.com for paperback and kindle, and also available on barnesandnoble.com for paperback and nook. Ana: I like that you don't attach a stigma to self-publishing; with all the great self-pubishing options available now through Amazon, Barnes & Noble, and I'm sure elsewhere, I really think it's a changing world out there. Jacob, thank you so very much for being willing to participate in this guest blog interview. Is there anything else you’d like to add?